Finica Food Specialties took two top prizes at the first annual Canadian Cheese Awards, held on April 7 in Toronto, Ontario. 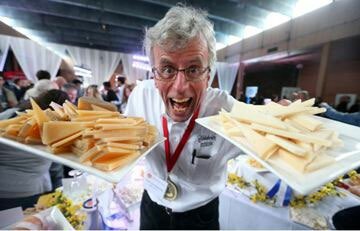 The competition hosted cheesemakers from across Canada, with nearly 300 products from 76 producers. The independent competition honored cheeses from several provinces, spanning all types including cow, sheep, goat and water buffalo milk cheeses. Mariposa Dairy and their artisanal cheese line, Lenberg Farms, placed first in both the Best Sheep's Milk and Best Goat's Milk category, for their Tania Sheep's Milk Cheese and Lindsay Bandaged Cheddar, respectively. 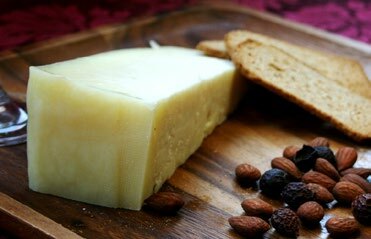 Since its release in 2010, Lindsay Bandaged Cheddar holds a perfect award show record, winning first prize in each of its five entered competitions, coming home with two awards at the American Cheese Society conference in 2012. Tania Sheep's Milk Cheese and Lindsay Bandaged Cheddar, produced under the Lenberg Farms brand, are created by the award-winning Mariposa Dairy, home of the popular line of Celebrity Goat Cheeses. The awards garnered quite a buzz in the Canadian cheese industry, looking for a way to showcase speciality cheeses from across the country. With a bit of flare and fun, the awards even invited the public for a tasting session in the evening, with producers sharing their love of cheese for all. To learn more, click on these exciting articles from The Star and York Region.